There’s a new trend lastly.You’re putting your head/face into bowl which filled with water to set your make-up.I never tried and actually it’s a little bit weird for me. I don’t like my tired,colourless looking when i’m really tired or sleepy or just now on my mood.At these days I prepare my cucumber ice water and put my face into that bowl full with cucumber and ice water . It really refreshes my skin,wakes me up and tighten my skin. 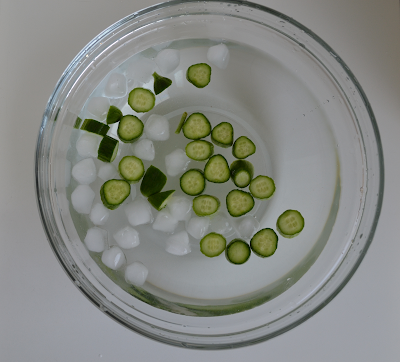 Cucumber helps to soften and ice helps to tighten.You definetelly feel fresh,especially hot summer days. Let’s see how you can prepare this refresher. 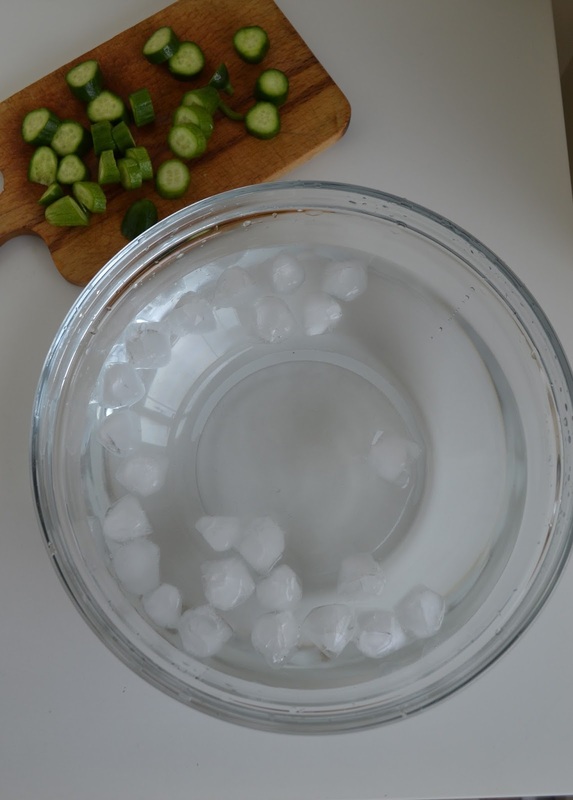 1- Put your ice cubes and water into a large bowl. 2- Add your sliced cucumber. 3- Put your hair back, hold your breath, close your eyes and plunge your face into the water, holding it there as long as you can before you need a new breath. Repeat if desired. 5- You can apply this everyday or anytime you want. That’s all! Wishing you a birgher softer and a tighter day !